Wounded warrior project is dedicated To raising awareness and enlisting the public's aid for the needs of injured service members, to help injured service members aid and assist each other, and to provide unique, direct programs and services to meet the needs of injured service members. MSF provides assistance to populations in distress, to victims of natural or man-made disasters, and to victims of armed conflict. They do so irrespective of race, religion, creed, or political convictions. ​The Fraternal Order of Police is the world's largest organization of sworn law enforcement officers, with more than 325,000 members in more than 2,100 lodges. We are the voice of those who dedicate their lives to protecting and serving our communities. We are committed to improving the working conditions of law enforcement officers and the safety of those we serve through education, legislation, information, community involvement, and employee representation. No one knows the dangers and the difficulties faced by today's police officers better than another officer, and no one knows police officers better than the FOP. The foundation is dedicated to helping underprivileged colorectal cancer patients obtain essential medical and emotional care. They provide hands-on care and services to more than 100,000 animals each year, They also professionalize the field through education and training for local organizations. They are the leading animal advocacy organization, seeking a humane world for people and animals alike. The Humane society is driving transformational change in the U.S. and around the world by combating large-scale cruelties such as puppy mills, animal fighting, factory farming, seal slaughter, horse cruelty, captive hunts and the wildlife trade. ​A leading conservation organization in the United States and around the world, The Nature Conservancy works with public and private partners to ensure our lands and waters are protected for future generations. We work in all 50 states, protecting habitats from grasslands to coral reefs and address threats to conservation involving climate change, fresh water, oceans, urban strategies and conservation lands. 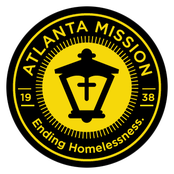 The mission of the Atlanta Community Food Bank is to fight hunger by engaging, educating and empowering our community. While our core work is food distribution, our efforts extend far beyond that. Our mission is lived out every day through seven projects that help engage, educate and empower both people in need and those who want to help. From supporting community gardens to assisting people in finding economic security, the Food Bank covers a wide range of opportunities for people to learn and get involved. Our seven projects are Atlanta Prosperity Campaign, Atlanta’s Table, Community Gardens, Hunger 101, Hunger Walk/Run, Kids In Need and Product Rescue Center. ​ by providing quality animal services including preventative initiatives, education, advocacy and adoption of animals into permanent loving homes. SPCA International works to stop the abuse and suffering of animals with innovative programs that serve both animals and their human caretakers. SPCA International embraces, above all, kindness, respect, compassion, awareness and integrity in all aspects of our mission and vision for a cruelty-free world.